Deezer streaming music service comes to LG, Samsung and Toshiba smart TVs | What Hi-Fi? Deezer, the music subscription streaming service, has teamed up with TV manufacturers LG, Samsung and Toshiba to offer users access to their music catalogue of over 20 million tracks via smart TVs. Subscribers will be able to access playlists, tracks and recommendations through their smart TV. Non-subscribers will also be able to make use of the service, being granted unlimited streaming of 30-second previews. Deezer is competing with the likes of Rdio and Spotify for streaming music listeners, with all three services slowly finding their way on to a wider variety of connected devices. Rival streaming service Spotify already has a presence on Samsung smart TVs, as well as some AV receivers, while Apple is rumoured to be planning some sort of music streaming feature for iTunes. 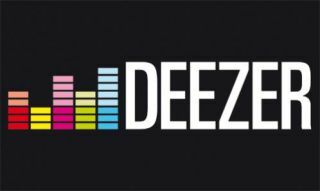 Deezer is currently present in 180 countries around the world (more than Spotify), though it has yet to make as big an impact in the UK or indeed launch at all in the US. Deezer launched a free version at the end of last year. It currently has more than three million paying subscribers (compared with Spotify’s five million), all of which will now be able to access the service via the big screen, provided they have a compatible TV. Deezer will be available on Samsung 2011 models and later in Europe, LG 2011 models and later worldwide, and Toshiba models since 2011 in Europe and MEA/Asia, Pacific, and also on models from 2013 worldwide. Around 43 million smart TVs were sold in the last year alone, with experts predicting this figure to rise to 95 million by 2016.